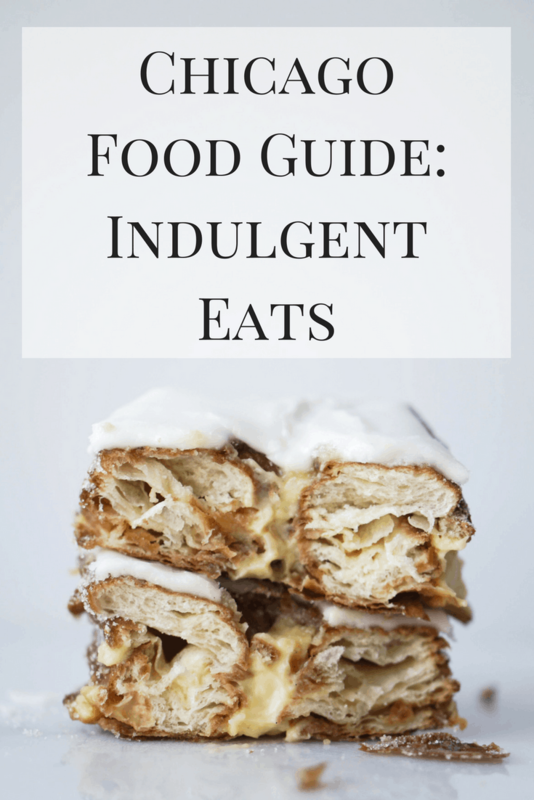 There are so many delicious places to eat in this city and I know that I’ve left some things off this list, but these are my my favorites. Neil and I aren’t big on sit-down restaurants, so you won’t really find those on this list. I also need to eat more tacos since that’s a big thing here, yet I don’t have any on the list. So if you don’t see a genre on here, don’t hesitate to email me or leave a comment and I can help you out! Of course we are going to start here. 🙂 A specialty in Chicago is the wide selection of independently-owned donut shops. 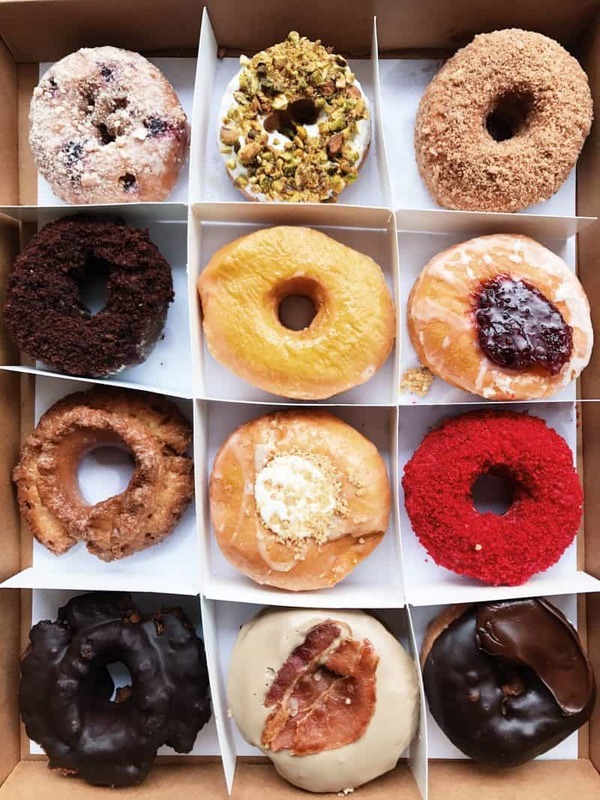 I have my favorite (Do-Rite), but these all have good donuts. Stan’s – Probably the most prolific donut shop, Stan’s has a large number of donuts to choose from. From cake to old fashioned to yeast, there’s an option for everyone. My favorite here is the lemon pistachio old fashioned. 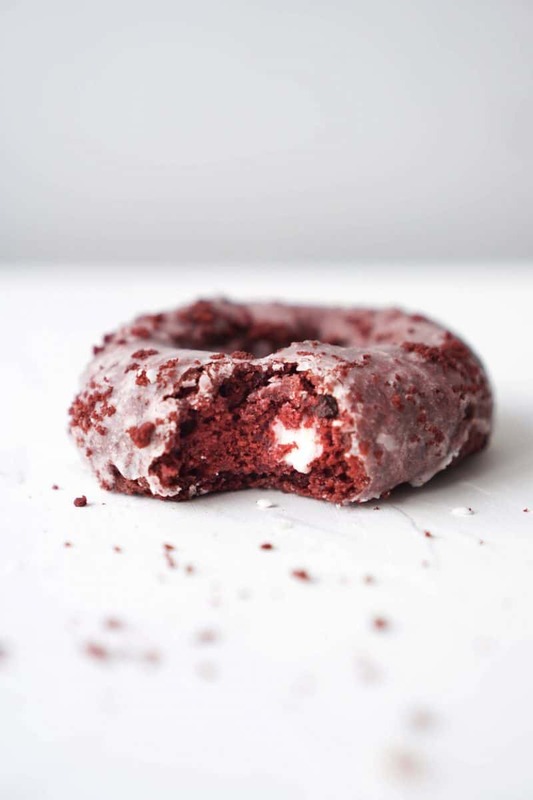 Doughnut Vault – When I first moved to the city, I was told that this was THE place to go for donuts. There are two locations and the one in River North is so small that you will often see a line down the block during the weekends. My first impression wasn’t that great – they have a limited selection, I’m not a huge fan of the old fashioned variety, and the icing left a weird film on the roof of my mouth. That being said, many people swear by them and I’ve only had them that once so I’d be willing to give them another shot. Do-rite – This is my favorite donut place in the city. My favorite donuts are yeast donuts and they have plenty at Do-rite. I determined that this was my favorite because while I always had a favorite go-to at the other donut shops, this was the only one where I would order several different kinds. My favorites are the cheese danish (that’s cream cheese icing folks) and the maple bacon. I think Stan’s has a better pistachio, but other than that all of these are delicious. Firecakes – There’s a couple locations of Firecakes as well and even though one of them is not too far from me, I don’t find myself in there too often. I feel like their donuts are mediocre and I haven’t been blown away by any of the flavors. Still decent though! Bombobar — somewhat in the donut space is Bombobar, where they serve bombolinis — Italian filled donuts. There’s no hole and you choose the filling. 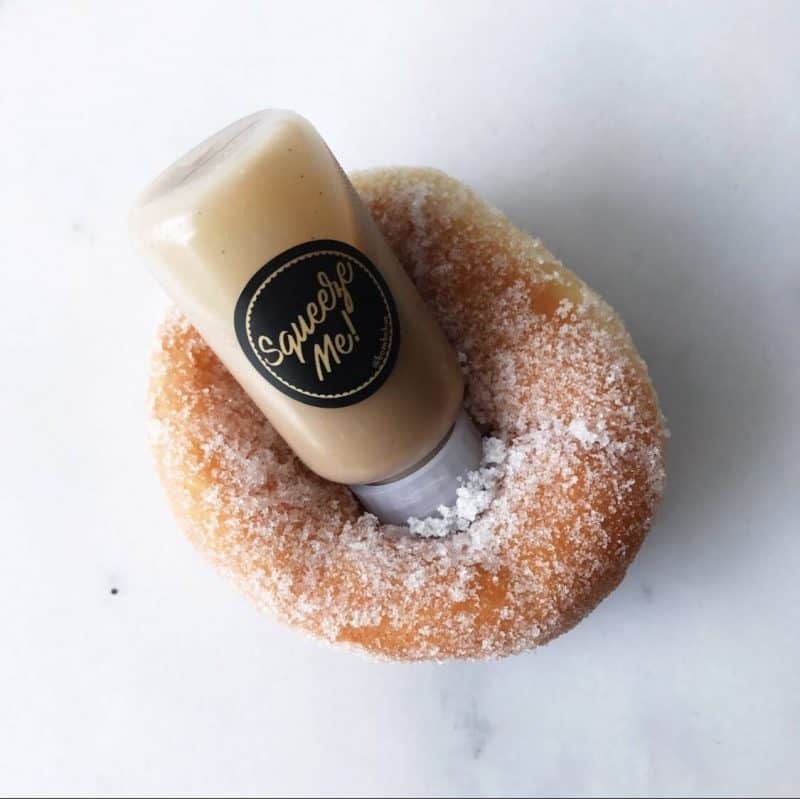 It’s given to you in a small squeeze bottle which you then inject into your bombolini. If you’re not in the donut mood, they also have a ton of crazy gelato and drink desserts which are insane! Summer House Santa Monica — this is actually a restaurant, but when you walk in you’re greeted with some of the most magical baked goods in all the land. 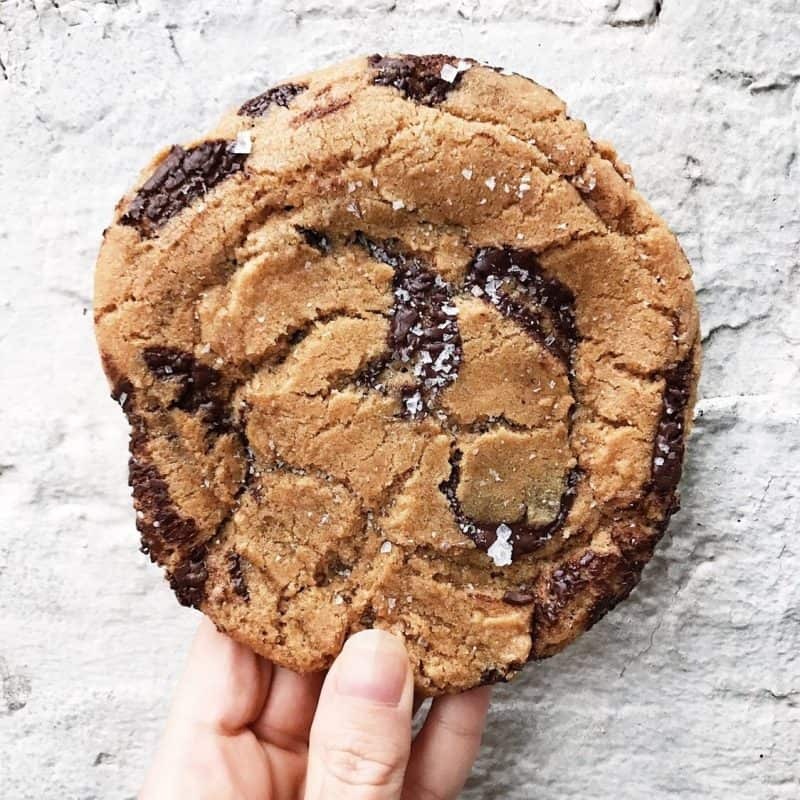 Their cookies are to die for and the salted chocolate chip is my favorite in the city. They have many different flavors and types of desserts to choose from, so definitely don’t stop at just the cookies. Even if you’re not able to come into the city, they have a location at O’Hare airport and the terminals are connected so if you have time, hop on over to Terminal 2 and grab one of these! Sweet Mandy B’s — whether you want a cupcake, cookie, cake, pie, or other type of dessert, this is your place. They are continuously coming up with new creations, so there’s always something different to try. This cookie dough filled chocolate chip cookie has to be one of my all time favorites. 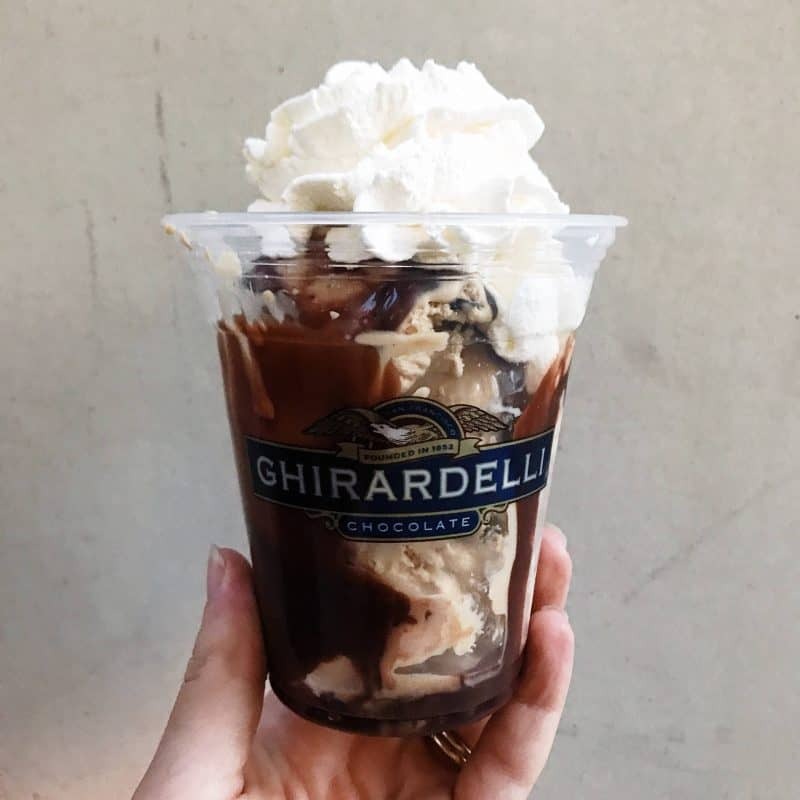 Ghirardelli — there are two locations for you to get your ice cream fix at Ghirardelli. Their menu is extensive, but my go-to is always one scoop (really, you only need one!) of espresso chip ice cream, hot fudge, and whipped cream. They literally have the best whipped cream I’ve ever had in my life. Velvet Dessert — I discovered Velvet Dessert when they offered to being me some chocolate croissants because I mentioned that I couldn’t find a good one in the city. Boy was I wrong. 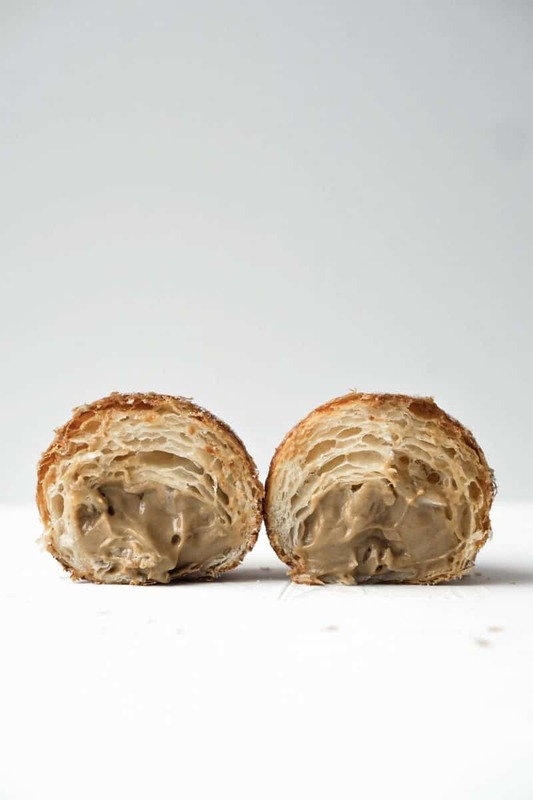 Everything I’ve had here has been delicious, including the below cruffin — a croissant/muffin filled with coffee cream. 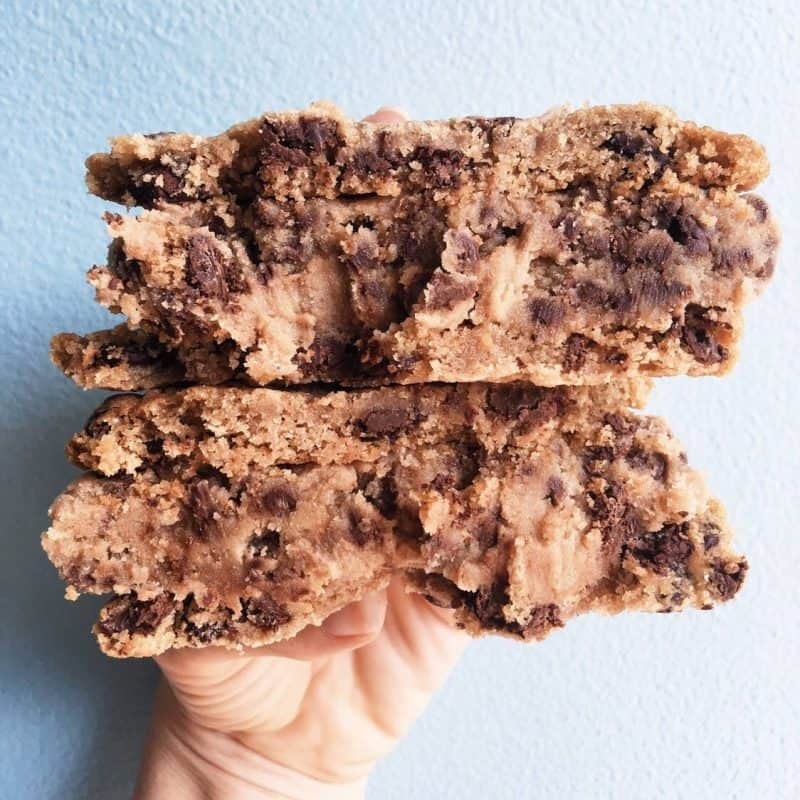 They don’t have their own storefront, but you can find them at Lakeview Kitchen and Market along with other small businesses that deliver delicious eats. 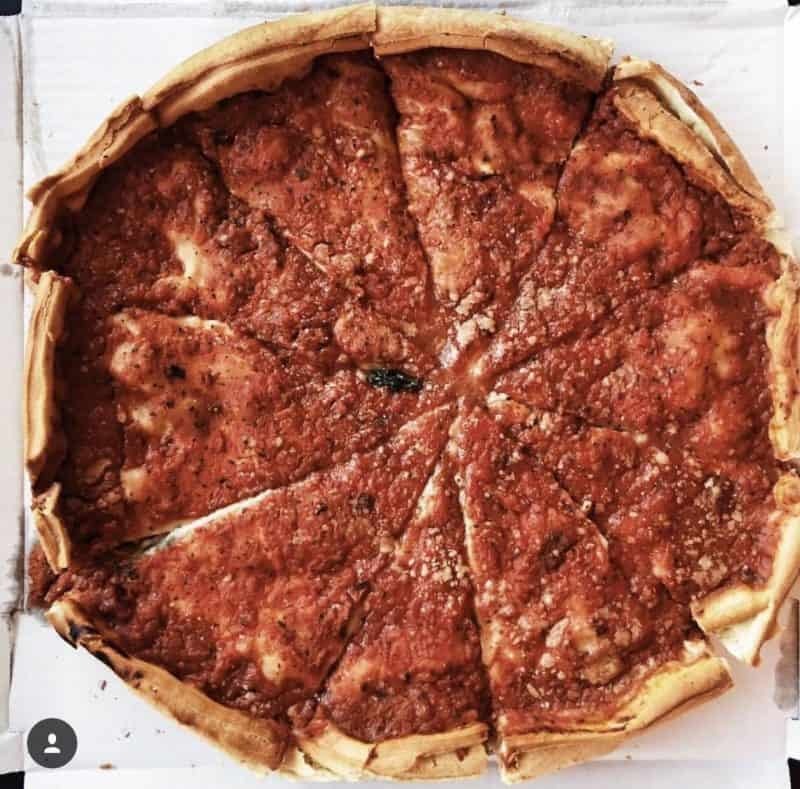 Deep dish – You can’t experience Chicago without experiencing its world-famous deep dish pizza selections. Two of the main competitors in this market are Lou Malnati’s and Giordano’s (my fave). Both have an incredible reputation, so you can always save the other for a later date. Whichever you pick, keep in mind that pizzas take approximately 45 minutes to bake from the time you order, so don’t go hungry and know that you’ll have plenty of time for conversation! 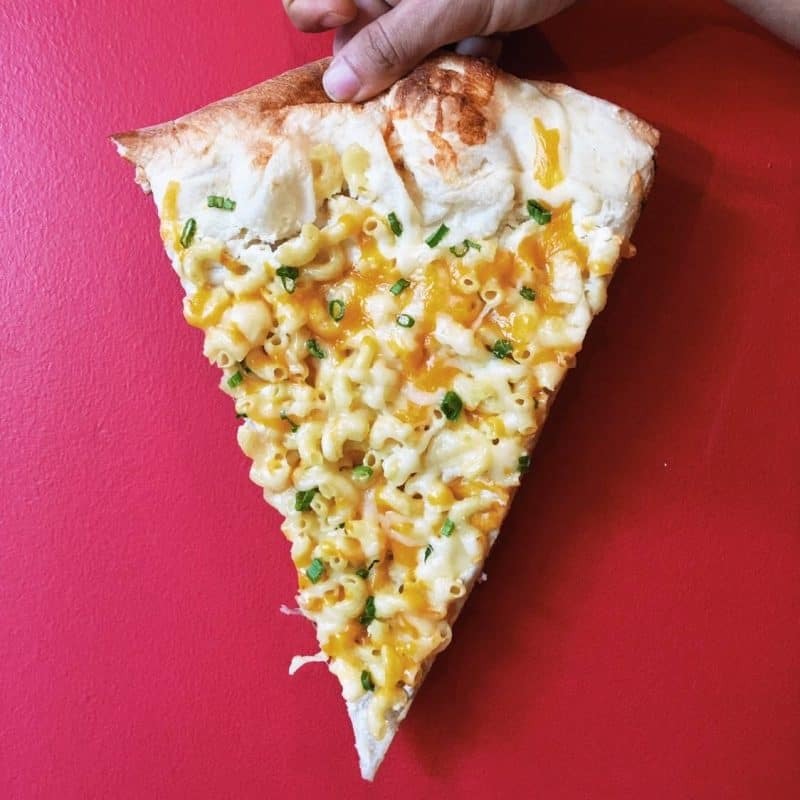 Specialty – For something truly unique, try out Dimo’s Pizza. 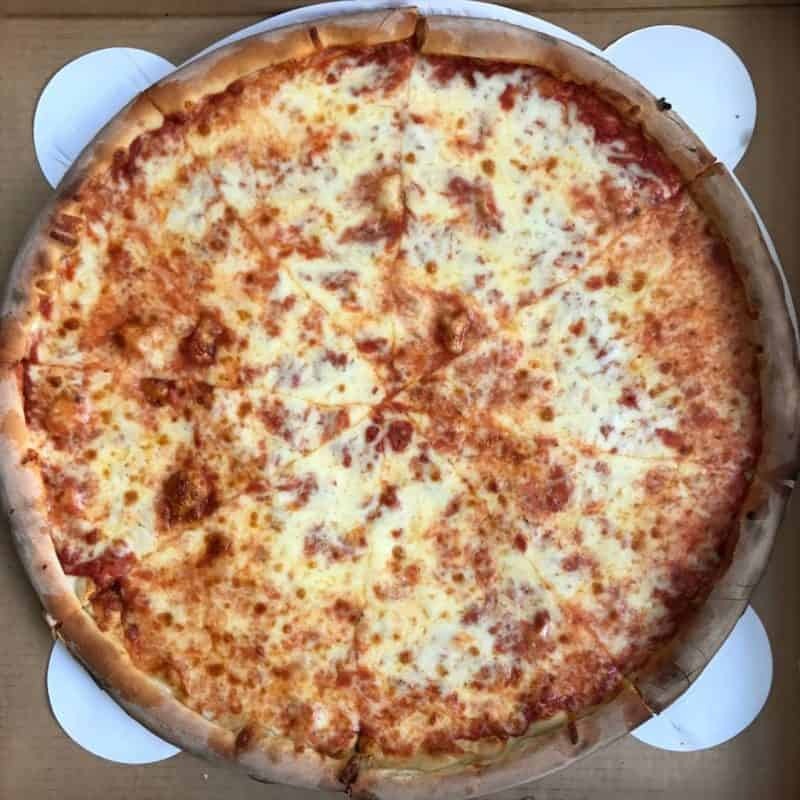 In addition to your staple cheese or pepperoni pizza, they also offer a rotating menu of options such as chicken and waffle, s’mores, mac and cheese, and many more. Get a couple different slices and share them! Dimo’s has two locations – one in Wicker Park and one in Wrigleyville. Au Cheval — if you can, make time to try the burger at Au Cheval. 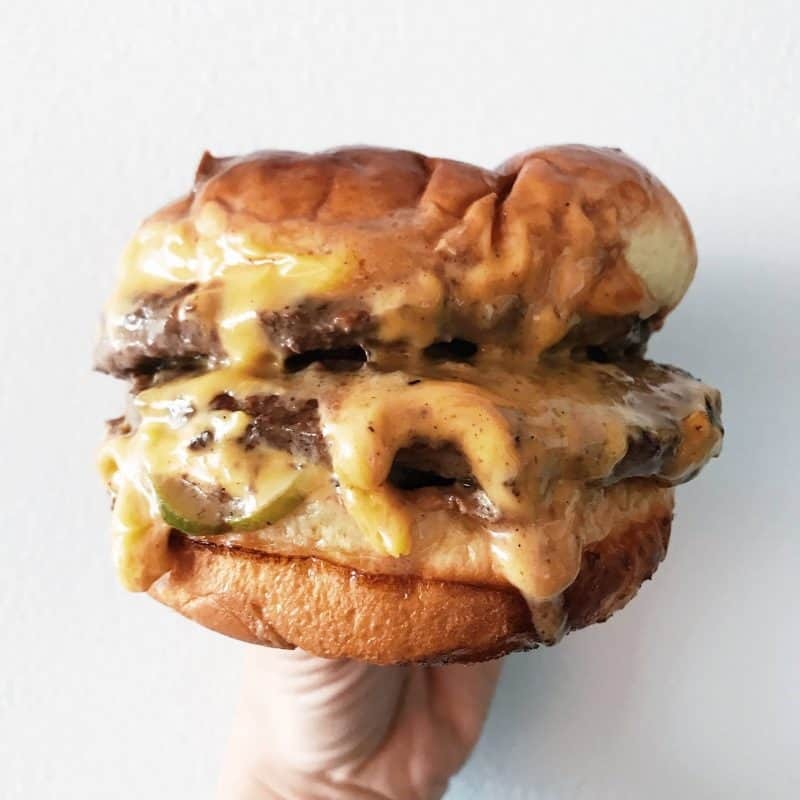 It’s commonly accepted as the best burger in the city (although there are some up and comers). The wait times can often be multiple hours, but Neil and I went right when they opened for lunch and by sitting at the bar were able to get in without much of a wait. If you go for dinner, make sure you go early or plan to wait. 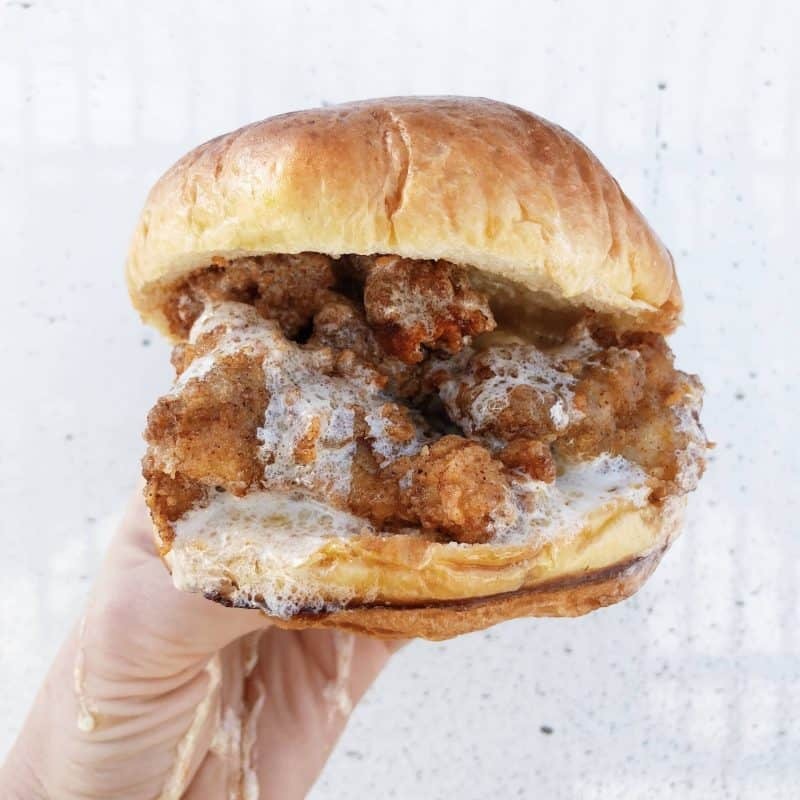 Small Cheval — if you’re not in the mood for waiting, I suggest going to Au Cheval’s sister spot, Small Cheval. In all actuality, this is probably my favorite burger here in Chicago (and I’ve had many). There are a couple locations now and a more fast casual version of its predecessor. Highly recommend. Cheesie’s — this place is just absurd. 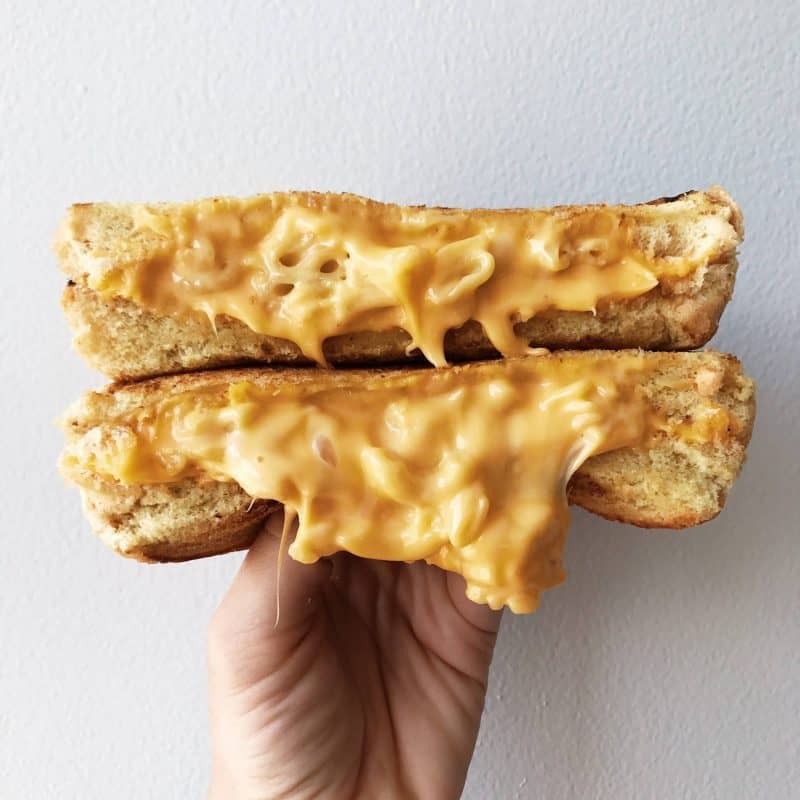 Where else can you get a mac and cheese grilled cheese sandwich? They have a TON of different grilled cheese options, but this one is definitely my favorite. I used to stop at their food truck any time I saw it. Seriously, if you like cheese you need to add this to your list. Honey Butter Fried Chicken — how can you go wrong with fried chicken smothered in honey butter? The answer is you can’t. Luckily this is a little out of the way for me, so I’m not able to get it all the time. If you can, also get their cornbread which is magical. I think that about wraps it up, but if I’ve forgotten anything definitely let me know in the comments! Now I want a COOKIE, a donut, pizza, and a burger for breakfast. That’s so cool that they brought you a chocolate croissant.